Seven drivers within 30 seconds of each other – a thrilling battle between all four manufacturers in the FIA World Rally Championship (WRC) has developed in Portugal. At the front: Jari-Matti Latvala/Miikka Anttila (FIN/FIN) in the Polo R WRC. After 104.45 of a total of 324.18 kilometres of special stages, they lead the Rally Portugal with an advantage of 11.1-seconds over Kris Meeke/Paul Nagle (GB/IRL, Citroën). Just a further 4.9 seconds behind that are their Volkswagen team-mates Andreas Mikkelsen/Ola Fløene (N/N), in third place on their debut in the second generation Polo R WRC. 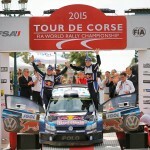 Double world champions Sébastien Ogier/Julien Ingrassia (F/F), the third Volkswagen duo, are also in reach of the podium – in sixth place with a deficit of 25.9 seconds to Latvala/Anttila. Friday at the Rally Portugal was characterised by slippery gravel tracks and plenty of loose sand – including clouds of dust. 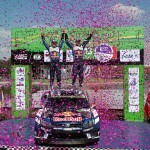 With each World Rally Car that took to the stages, the chances of best times increased. Since they lead the table in the world championship, Ogier/Ingrassia had the honour of taking to the stages first, Mikkelsen/Fløene were third to take to the track and Latvala/Anttila were ninth. Saturday, with 165.08 kilometres of special stages, sees the longest day of the Rally Portugal, which is being held in the north of the country for the first time since 2001. The tyre selection will play a crucial role. With the quantity of soft and hard Michelin competition tyres available, the trick is to economise cleverly. The Volkswagen drivers opted for soft tyres on Friday morning, and a combination of soft and hard tyres in the afternoon. 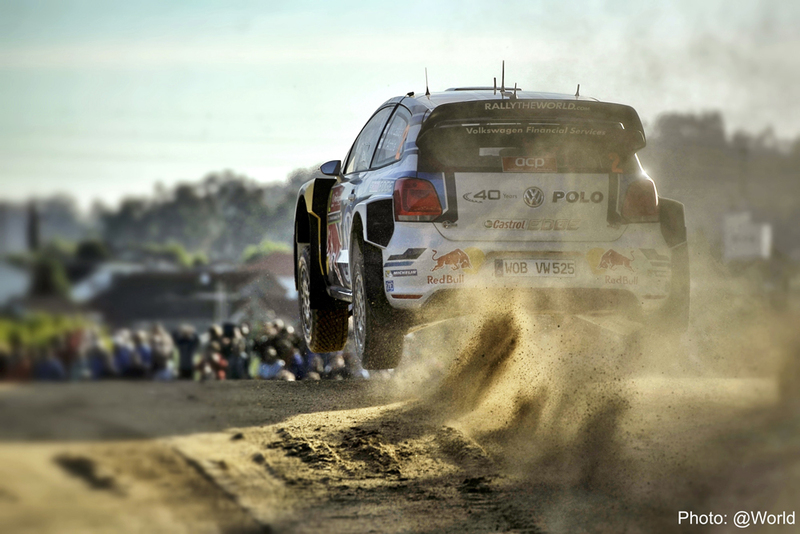 Rally de Portugal – Preview – Europe, here we come!